The Bladder Cancer Australia Charity Foundation has launched three bladder cancer awareness videos for males, females and the LGBT community. The videos are now available on our YouTube channel and the raw video files are also downloadable for educational purposes and dissemination. We encourage you to embed or share the youtube or raw files on social media channels and networks and any other ways that you can think of to make a positive impact and increase world wide awareness of bladder cancer and its tell tale symptoms. View and download the videos here. After the closed meeting of bladder cancer patient organisations there will be a public launch with speakers from the European Association of Urology, the International Kidney Cancer Coalition, the University of British Columbia, and the US National Cancer Institute. Invite your colleagues attending EAU to register for the public launch. 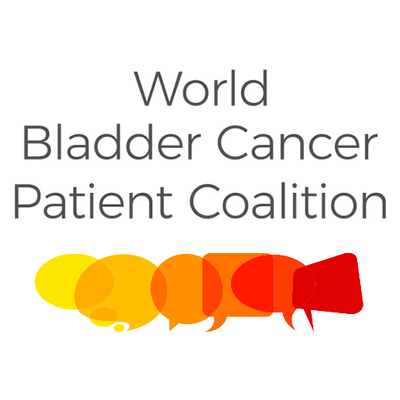 Given that bladdercancer.org.au will now be able to assist other organisations with international programs we look forward to launching International Bladder Cancer Awareness month in May and ask you to get ready to support it! On March 8, I celebrate my 60th birthday. 2019 is doubly significant as I also celebrate 30 years as a bladder cancer survivor. I am incredibly grateful and consider myself fortunate. But on reflection I remember it being a surreal time with overwhelming feelings of disbelief. Mostly I recall the oddity of being diagnosed with a medical condition I had never known about or understood. Bladder cancer – the doctors were kidding me, right? I am a woman, and at the time of diagnosis I was 30 years old. Research informed me that bladder cancer was 50% less likely to occur in women and 50 years the average age. In 1989 at age 30, I had a blessed life with a career in check and a happy family – running around after two small children. But I felt tired, was overweight and had a recurring UTI (urinary tract infection). When blood was evident in my urine, my GP ordered further tests. I was shocked when a tumour occupying 90% of my bladder was detected. Immediately I was paired with a prominent Urologist and soon I became known as that young girl in Ward 3 South at Cabrini Malvern. Life as I knew it changed for ever and my case was shared widely in medical journals. Surgeries and several treatments of BCG ensued, instilled in a catheter and lying on a gurney I rotated 90 degrees every 15 minutes. The tumour was successfully removed and my bladder responded well to treatment. On the physical side, all boxes ticked. Emotionally though, I was challenged and confused. This was the 1980’s, the big ‘C’ was still under a cloud and young people don’t get this disease anyway. Ironically, I became aligned with my father and father-in-law. Aged in their 50’s and 60’s they too were visiting respective Urologists’ and each was in early stages of prostate cancer. Entrusting the medical fraternity with managing my physical issues, I began a gentle regime changing my approach to mind, body and soul. I shifted my focus to improving everything I could control as a mother, wife and human. I shed kilos, exercised, stopped smoking and gave up the carnivore life. Cystoscopies became part of my routine and I often walked to hospital from home. When I changed into theatre garb, the walk continued all the way into theatre, no trolley for me thank you. I made my instructions clear – strictly local anaesthetic. Remaining alert I chatted through procedures with theatre doctors and staff. I believed this would ensure I had the mental apparatus to live the experience and will myself to health. It’s been an epic 30 years and in a recent post-cystoscopy chat with my Urologist we have agreed that I am clear of any nasties for now and I can ease up on the checks going forward. My team of vigilant doctors have been a blessing and no less are my amazing supportive family. I am indebted to them all. To Drs. 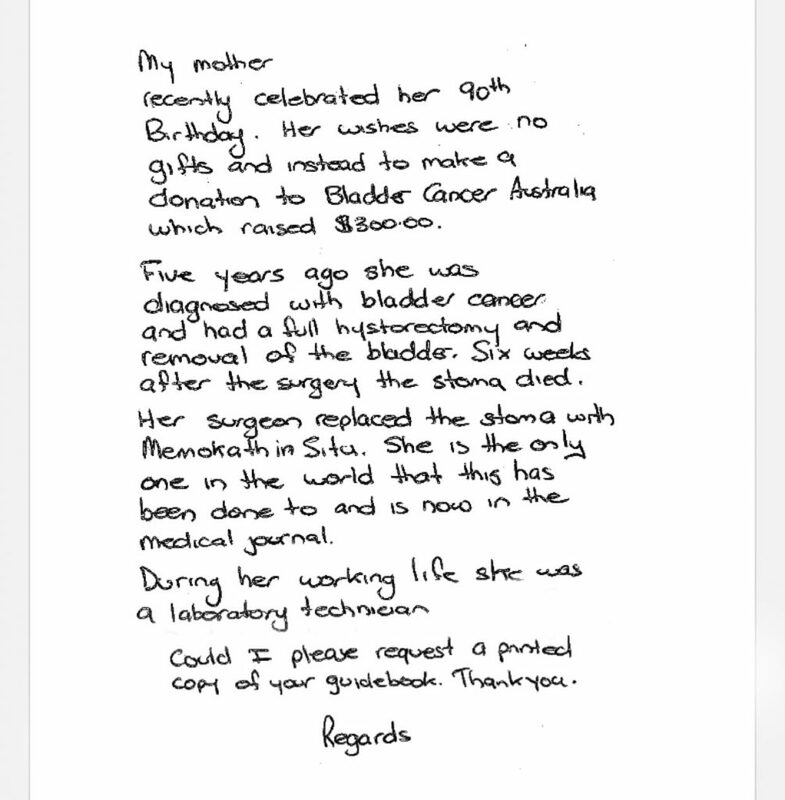 David Bosher (GP), Gabi Reisner (former Urologist) and Daniel Moon (current Urologist), thank you, thank you thank you…..30 years surviving has been largely due to you. I urge everyone to be vigilant. Listen to your body, read the signs and act! My husband has been diagnosed with bladder cancer and will be operated on in three weeks time. However, a close friend was diagnosed with a more advanced form 5 years ago, and after surgery and her bcg treatment it came back a year later. So she has had to have BCG treatment for three years in total, and now is on a yearly cystoscopy check up with no signs for the past year or two of anything. So we can say she is in remission. This treatment is very good. Below is an update on current ANZUP-led and co-badged Bladder Cancer trials taken from ANZUPs most recent monthly membership update. 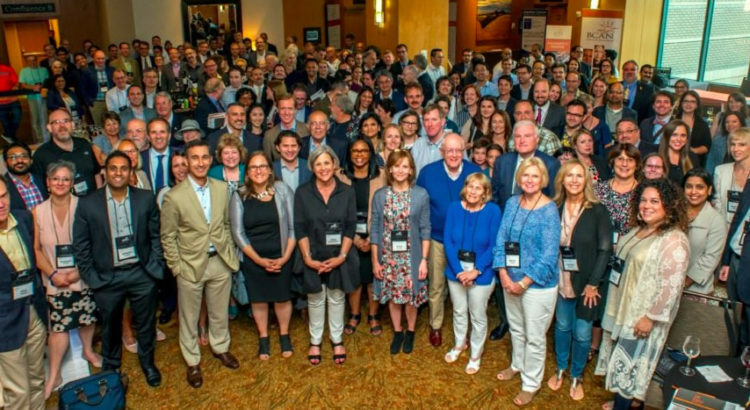 Earlier this month, our board member Dr Stephanie Demkiw was fortunate enough to attend the BCAN Think Tank in Denver, Colorado – a meeting that brings together 250 of the top medical and scientific minds in bladder cancer. The meeting opened with a session for patient advocates. This included approximately 30 patients, many of which have undergone neobladder or ileal-conduit surgery and whose stories and experience are vital to drive the yearly Think Tank. The microbiome and its contribution to cancer and bladder disease. Solving the clinical trials conundrum. Upper Tract Urothelial Carcinoma (UTUC): From improvisation to research-driven care. Stephanie was also an active participant in the Survivorship Working Group, where bladder cancer survivors and patient advocates actively brainstormed toward improved (and importantly, practical) resources for patients and their families. The meeting was a huge success and we cannot wait to share more in coming weeks! 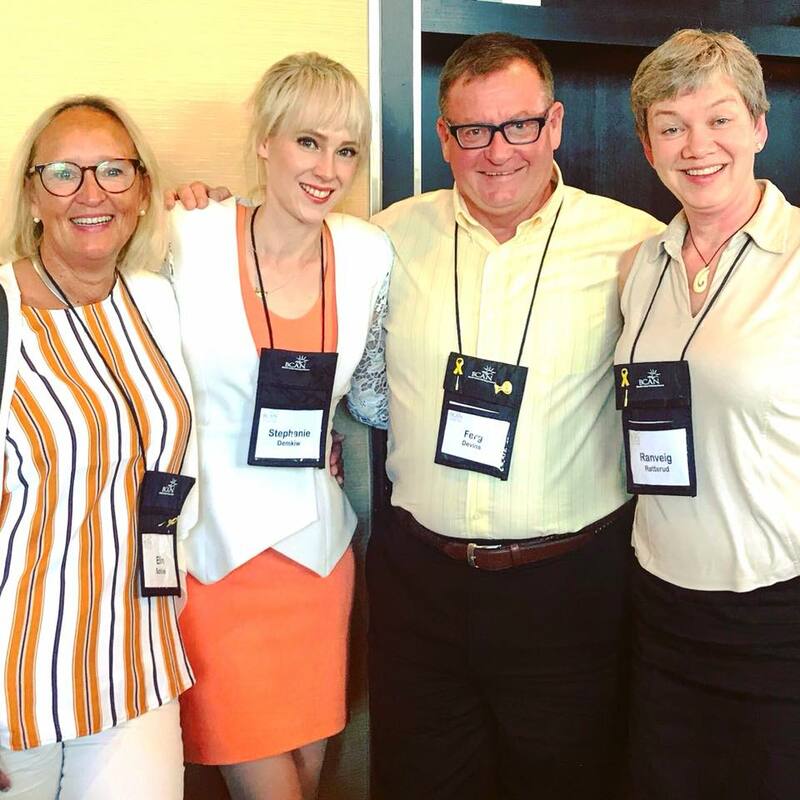 (L-R ) International patient advocates Elin, Stephanie, Ferg and Ranveig from Norway, Australia, Canada and Norway respectively. 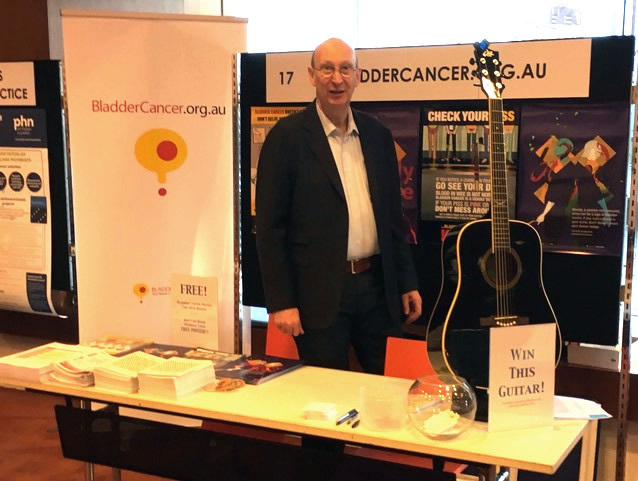 Last weekend the BladderCancer.org.au team were at the UroGP conference at Melbourne Convention Centre. As usual our publications were very popular and we are almost sold out of both of our booklets now. That is now 4,000 booklets in doctor’s, patient’s and nurse’s hands and another 1,000 are now in production. Our “Bloody Piss” posters were also very popular. You can download all these publications on our website or email us for more copies. Our new BC Patient Care Plan was extremely popular. Both our founders spoke to delegates. A/Prof Nathan Lawrentschuk was in several sessions and Tony Moore spoke to over 150 nurses about his NeoBladder and our charity. For everyone who was there, we look forward to seeing you next year and giving you another chance to win a nice guitar!